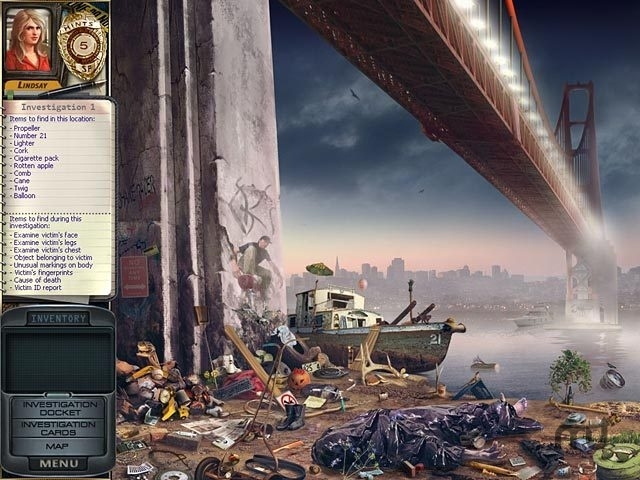 Hidden object adventure with mysterious murder plot. Is there a better alternative to James Patterson Women's Murder Club? Is James Patterson Women's Murder Club really the best app in Adventure category? Will James Patterson Women's Murder Club work good on macOS 10.13.4? In James Patterson Women's Murder Club: Death in Scarlet…A morning jog presents a chilling find, and a new wave of fear descends upon San Francisco. Enter the world of James Patterson, America`s #1 storyteller, and study murder scenes as Lindsay Boxer, Claire Washburn, and hotshot crime reporter Cindy Thomas. Find hidden objects inside nine investigations, brain-bending puzzles, strikingly-beautiful artwork, and an all-new spine tingling storyline. Discover the truth and stop a psychotic killer in Women`s Murder Club: Death in Scarlet. James Patterson Women's Murder Club needs a review. Be the first to review this app and get the discussion started! James Patterson Women's Murder Club needs a rating. Be the first to rate this app and get the discussion started!